Oh how disappointed I am in you. I stopped in with my $10 off a $50 order fully expecting to save a bundle. Alas. I saved a paltry 50%. Your double coupons, and free 10 bucks helped very little in my endeavor to save the most money for my family. I could not find one item that was the best price in town, not one. I watched in amazement as people with no coupons loaded their carts up, and I kept thinking, "how do they afford that!" The prices weren't just a little higher in some cases they were double! I managed to find some pasta, Sunny D and some chicken that was an okay deal. I won't be back for awhile. I'll check the ad but man, nothing about those prices was good. For the record I didn't unload the groceries, which explains why it's a wreck. That and I need more shelves now. This is the second refrigerator downstairs. I will get a deep freezer in the next couple weeks. I haven't stocked up on meats yet. My gut tells me the next couple weeks will prove to be very good for summer meats. I am watching for the very best price on brats, sausages, bacon wrapped pork filets, and grilled chicken strips. I have great coupons on it, but waiting for the best sale and another $10/$50 before I go bonkers on it. Resisting the urge to buy in lieu of waiting for best possible price is new for me! Oh tax was off actual cost not before sales, and coupons! so MY total was $9.68. This was fantastic. Manwich is a favorite, these new Ronzoni Noodles have full servings of veggies, and I ended up getting a bunch of 'em before the day was out. Mac and cheese, always awesome. Nothing goes in the cart unless it's on sale AND I have a coupon now. Couldn't start that way but I'm there now. The Manwich was more than $10 retail. Two more trips to share! Before I share my shopping successes this week please accept my invitation to not be impressed. 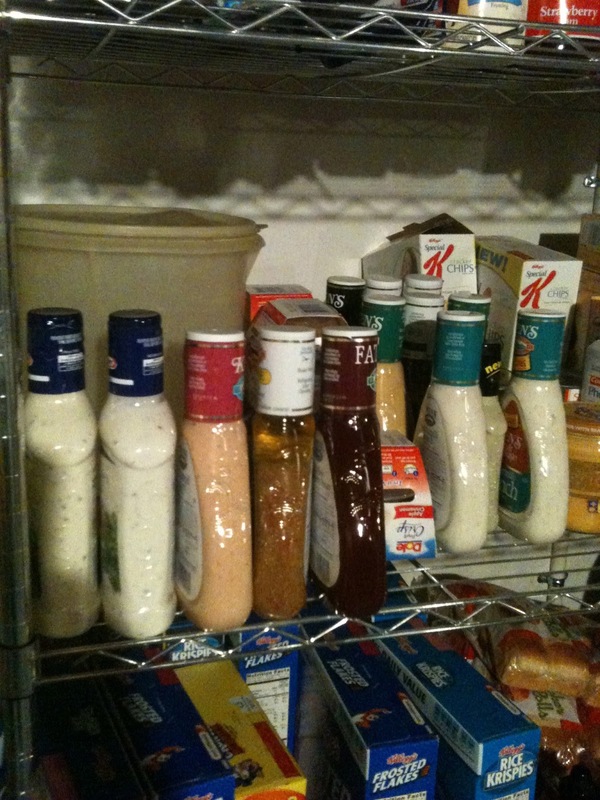 I am truly enjoying the challenge of saving money on groceries. 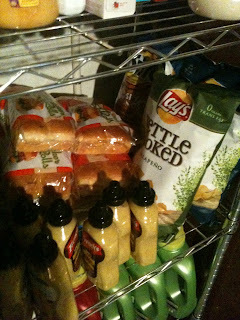 It's SO exciting to walk out the door with literally a cart full of FREE groceries. 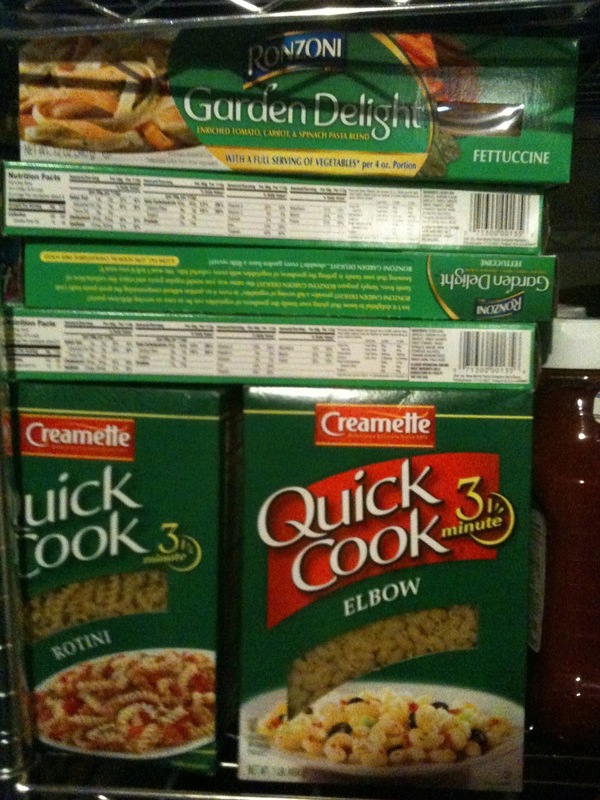 I am building a stockpile so my shopping excursions do not look anything at all like they used to look. For some people this just seems like too much work, too much trouble and too long to see the benefits in the pocketbook. That's fine, don't be impressed. I reserve the right to think you probably aren't interested or haven't taken the time to really understand the goal of lower my grocery bill across the long term, and by a goal of 70%. Still not impressed? That works out to a savings of $5,040.00 per year. Still not impressed? Would $93,397.00 be impressive? Invest $5040 in a Roth IRA at a 10% rate of return for 10 years - it's over $93,000. Have I done that? not yet. 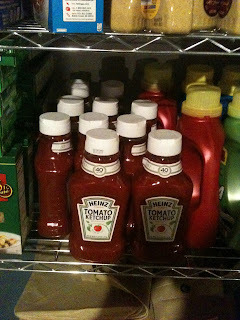 Let's say I bought the ketchup for a 1.05 and everything else was free. 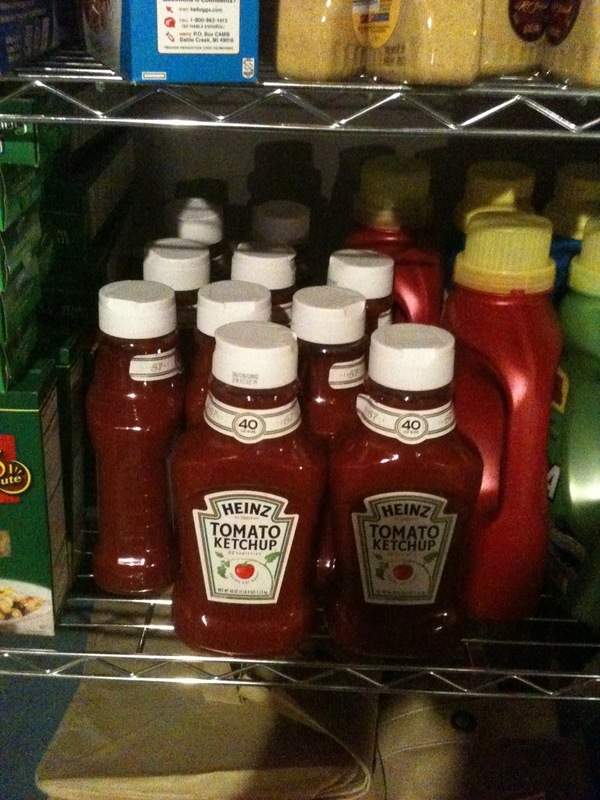 It's summer, so condiments are on sale - buy them. Pasta salads, dressings for marinades on the grill. So could I feed my family on this for two weeks? Nope. Not trying, the grocery stocking is a cumulative process. These items are items I use. This was one of four trips I made yesterday. It took me a total of about 3 hours to shop and probably another 4 from the week. Over 10 yrs my average hourly rate based off the saved/invested $93,000 would be something like $17.00 an hour. Which I could earn while homeschooling, watching movies with my family and while I complete my other work. There is also a learning curve. I started this in March. I have to look for the best sales, and I have learned to be disciplined and NOT buy something just because I have a coupon. More Thursday trips to come! Susan - I love you! Let me help? I didn't know what a hipster really was until I watched it last week. Found some good coupons on manufacturer sites today. Catalinas - those dollar off deals you probably didn't even know about, or at least I didn't! On the Bob Evans - BOGO is where it's at! Find them on sale use a coupon on each and it's free or almost. 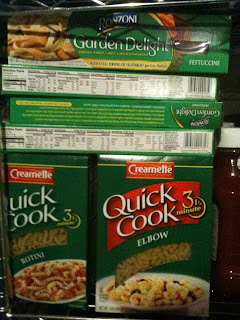 I can make better sides and certainly for nickels on the retail price of these products but my reality check - I do not always have the time and the kids still want to eat. These are fantastic additions to semi-homemade meals. The potatoes go great in a semi-homemade meat pie, shepherds pie, and potato soup. Mac and Cheese - duh. Add anything - ham, chicken, hamburger. Great deal on Duncan Hines Brownies too Wow they make great little brownie cookies, a little chocolate syrup and chocolate chips and cutting an egg out and it's chocolate lava cake. Thinking out of my normal box too. I keep hearing people say they don't get coupons for what they buy normally. What I am loving about this experience is that I am learning to but DIFFERENT things! Which means for example I have this fabulous deal on polish sausages - what to do with it? Um, gee Jambalaya, tons of italian dishes, with peppers and italian sausages, breakfast for dinner and the website for Ekrich has many recipes too. Brats, I will have brats coming out of my ears - not kids :) Hmm... I suppose we will be enjoying them all summer long - cause they freeze beautifully. 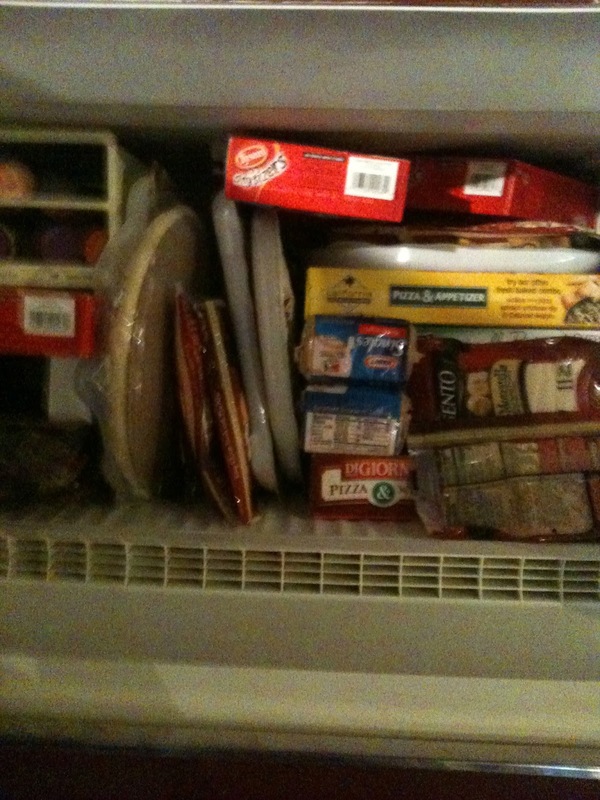 Sausage too, turkey bacon is all we use, so spaghetti and meatballs, BLT, quiche, casseroles, homemade pizza. I have wanted to enjoy cooking again for a long time but I fixed the same menus and everything was bland so the kids would eat something. I am actually beginning to enjoy it more the kids can eat Ramen - I'm done short ordering. I am down to my last few pillsbury crescents, pizza dough, italian bread (awesome) and I love them so much. There just isn't anything quicker than using these little puppies for meals. Cold veggie pizzas - cream cheese and dill, crescents with cinnamon and a little powdered sugar and milk for icing glaze. Easy and yet impressive to a ten year old - who proclaimed I was amazing. I will be stocking up on them. I have a stockpile of coupons for them looking for the best price, sale, deal. Tonight I made chicken, and polish sausages with tomatoes, sauce, rotini pasta and peppers. The total cost of the meal for four was under $3.00. Coupon for everything in the meal was used. I'm sorry I can't help you right now, my life is exploding like the Big Red I left in the freezer over night. William has Tabasco sauce in his eye (prank gone wrong he explained to me) and he is walking around with an eye wash cup squeezed into his eye socket. He has also destroyed a pair of sunglasses with a hammer to make himself an eye patch. Where was I? Wrestling my dryer into submission as it's CLANGING and BANGING as if I'm trying to dry leftover parts from a Mustang GT. I'm surprised no one has called CPS wondering why one kid at the homeschooler house is partially blinded and it sounds like Armageddon in my basement. Really Lord? I had a very peaceful day planned for myself. It was going along swimmingly from 6:30 am until around 9 am. Then, it went sideways. Why do I plan anything? When will I learn? My Father is apparently much more interested in pruning my pride, growing me in patience and teaching me to laugh when I want to run away from home, than He is about me catching up laundry or cleaning up the playroom. Where is Taylor you might ask? Hiding. As well she should. 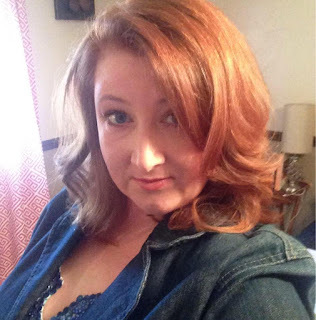 She talks about the large family she hopes for someday. The reality of our medium sized family is oozing out of every corner outside her peaceful bedroom. It really is best if she keeps the headphones on, the ipod turned up and thinks only of handsome princes, lullabies and mommy and me pedicures after play dates. This is most of this week's haul. The produce, meat, deli meats, and frozen pizzas were already put away. Retail Cost for this trip $343.26. My cost $160.47 A savings of 53%. Favorite buy this week! Extra Laundry Detergent. Regularly priced at $3.56. On sale for $1.88. $1.00/2 coupon made it $1.38 each. A savings of 62% on each. As you can see I bought 10. (I had 10 of the same coupon.) This is a good example of leveling the cost. The real beauty of this process is to lower spending not just on one week or one month the shopping bill but to lower significantly the amount you pay for everything over a year. The price of my laundry detergent will not fluctuate with sales now as I have enough to last months thereby leveling the price overall. Yes there is some stocking required. But to stock up I am not spending ANY extra money. In fact I am continuing to purchase what I normally need, stock up on items as I find the best buys and my spending is still amazingly down. Snapple. 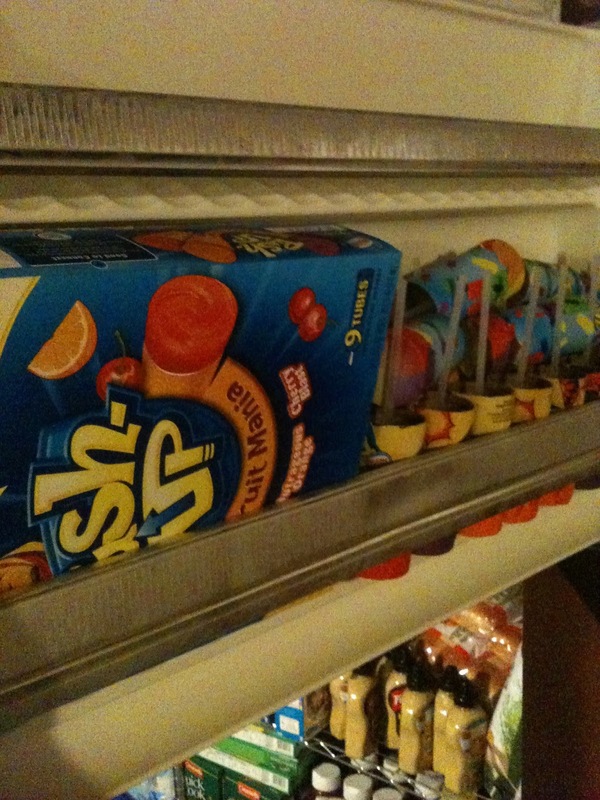 My family loves Snapple but it was rarely on my shopping list because it's expensive. Let's be honest though how often do we grab a drink from a gas station? How many times a week does my beloved buy something from the vending machine? A few times a month adds up quickly. Having these on hand, sending them to work and keeping them in the Van Plan saves money. Especially on deals like this. Retail price $5.88. On sale 2/$10. So $5.00 each. I have a coupon for $1.00 of single pack bringing it to $4.00 each. And with every two I get a large 64 oz tea free - retail price $3.18 each. Total for my Snapple - retail $44.82 - My cost $14.46 each Snapple is 40 cents. I haven't done a complete cost analysis on the bounce bar versus sheets but. this bar lasts 4 months. Retail price $8.47. On sale for $4.98 with my $1/1 coupon it was just$3.98. Much less than a box of sheets I would use in one month or less and good for 4 months! Leveled spending. Ah cereal. Look I can cook. I can and do prepare breakfast. There was a time in my life I was making it all from scratch and I was quite the Suzy Homemaker in the kitchen. This is not that time. We are having a good time and my priorities are very different now - working as a full time youth minister, still homeschooling, writing, and going back to school. Yeah, they can make cereal. 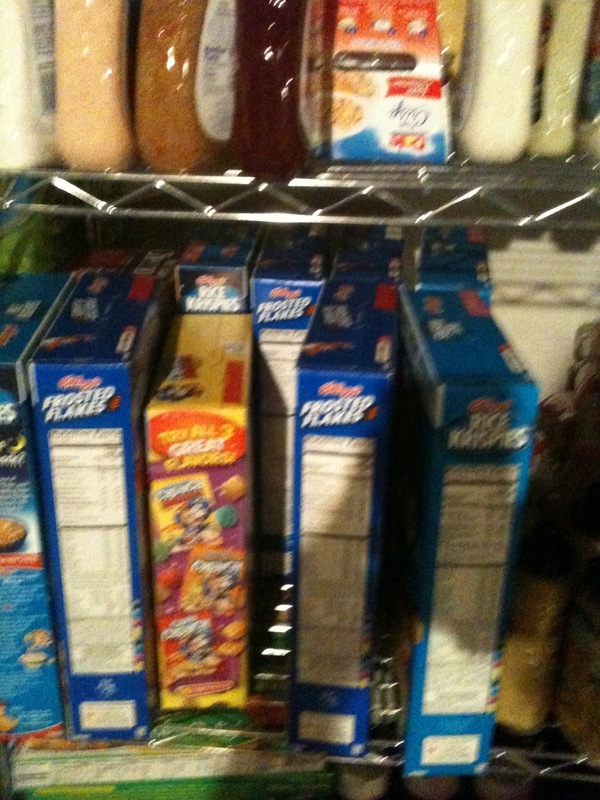 I used to buy Malt O Meal bags of cereal. Quick, easy, cheap. Not my family's favorite. Shopping the sales and matching the coupons on cereal is hands down my kids favorite element of mom's coupon addiction. Kellogg's Cereal on sale 2/$5.00 with a $1.00 coupon off each box makes these just $1.50. Some were with .75 coupons so $1.75. When you add up the cost and the ounces in the container this IS cheaper. It is also pretty close to the Aldi price of around $1.78/box of off brand. The real beauty of these deals though is that I also used $2.00 off deli meat when you buy 2 Special K. $3.00 off milk when you buy 2 Frosted Flakes and $2.00 off produce when you buy 2 Kellogg's cereals. These coupons CAN be combined because they are not saving on the same item. Green Beans on sale for the higher grade which I prefer. 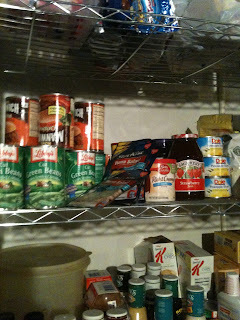 I can buy cheap ones but did you know that canned vegetables are sorted by grade? I don't chewy stringy, or lots of ends particularly when I wait for a sale and buy the better ones for less. Stock up a little and I'm set till the next sale. $1.00/4 Tuna Salad packs made each of these just $1.13! Retail price $1.73. On sale for $1.38. with coupon $1.13. Buy 8 get $3.00 off next shopping trip. Making actual cost $6.04 or .75 each - healthy lunch, and easy for DH to take to take along. Those Dole Crisps are delicious on sale with coupon .75 :) = happy hubby lunches. Starbucks coffee with $1.50 coupon only $6.98 and your empty bag buys you a free Tall Coffee at Starbucks making this about $3.00 after enjoying a cup of Joe at my favorite place! 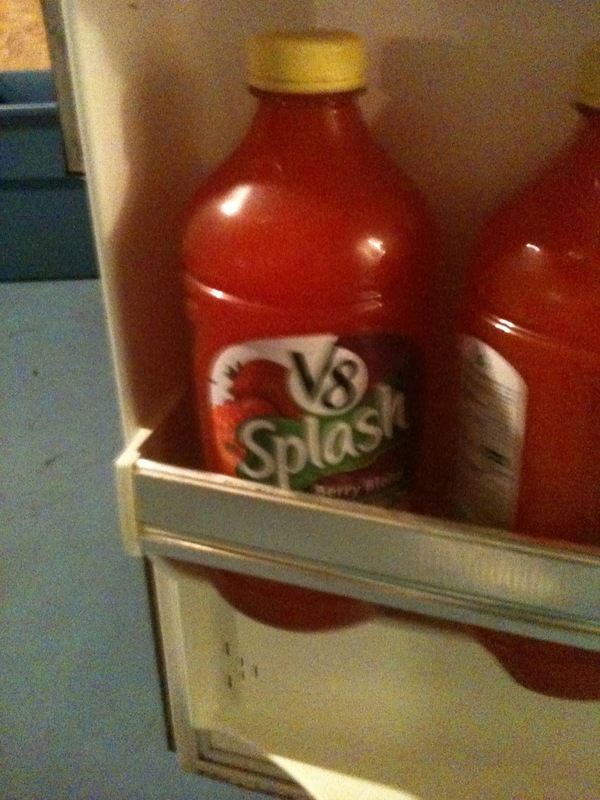 V8 - this is not your mama's V8. They are fabulous and a healthy drink that can replace kool-aid once or twice a day and load them up on essential nutrients. Retail $3.13. On sale 2/$5.00 - $1.00/2 makes them $2.00. This is not a drink every time you are thirsty drink. This is a built into the meal plan drink. SHUT UP! I loved this deal! 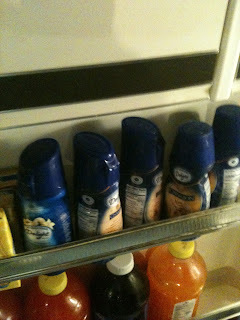 Retail $3.67 On sale 4/$10 or $2.50 each - $1.00 coupons off made them just $1.50!! I have a truckload of these coupons seriously like 20. AND for every 4 purchased I got $3.00 off the next shopping trip! Which made them .75 each!!! This beats cheap cardboard pizza any day of the week and twice on Sundays! C'mon. My kids are thrilled with my new shopping methods. I have added a fridge/freezer in the basement. I cleared a metal shelving unit for an extra pantry. I had both just didn't have them in use. I didn't go into all the deals but with $10/$50 orders my milk, produce, bread and meats all came in at excellent prices as well. 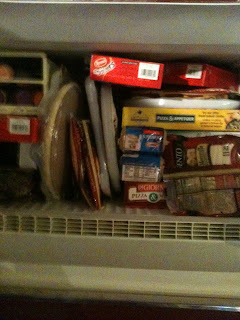 It took 4 trips to the store to save $40.00 off the deal making the meat essentially free. Best part 3 different ladies asked or told me I should be on the coupon show. I've never seen it. One lady was not happy when her husband pointed at my binder and said, "Why don't you do that?" She rolled her eyes at me and said, "I don't have time for that!" For the record, God Himself created the days. He made it to have 24 hours. He made us to require rest and sleep for 8 or so hours. There are enough hours in the day to do what we should. Perhaps not what we want. This is a hobby for me right now. Maybe it'll get old? But for now I love it. I don't farm, I don't watch Survivor, or any tv really but news on in the background - or Law and Order Reruns. I like the Middle and Happy Endings. Oh and Chef Ramsey when I can find it. No DVR. I don't farm or play games online. I enjoy stuff most people think of as work. I think I am a workaholic. No joke, startin' to think it. I don't like to read fiction, I am a movie snob and good grief I'm turning into Wheezer. On that note, shop well - no retail! What do you need to have a successful education? A dedicated teacher invested in the instruction of her students. Access to good curriculum and materials. In our home our children have all this in great abundance. No teacher will ever be as personally invested in the success and instruction of my children as I am. It isn't possible. My children have a classroom of 2 (previously 3) and they are instructed one on one. They have opportunities to enjoy a classroom experience too so they are able to sit at desks, wait their turn and stand in straight lines. Curriculum. This is so awesome. ALL traditional schools are limited to the curriculum provided them by school boards. I have the freedom to tailor their instruction to each child every year. To evaluate and make changes, to try and borrow and get input - hold on to your seat - from the child! 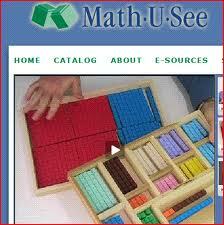 Pictured in this post is Math U See. This is the curriculum we have used for many years now. We abandoned with rejoicing and trumpets Saxon. We all hated Saxon. Hate is not too strong a word on this issue - it was tears and frustration. MUS is fantastic. It is only one example of a curriculum I love, that is not available in any school, not that I am aware of at least. The access to curriculum as a homeschooler is unrivaled in ANY school environment. Watching both my kids excel and enjoy Math... that is priceless. The cost of this curriculum for each year is approximately $50-$60 and is available for Preschool through High School/Honors courses. It includes a DVD, online and phone support, workbook, manipulatives, tests and additional printable worksheets if needed. Oh and tell me if this has ever happened in a public school? I've seen the creator speak, I have ad conversations with him and our personal input has been considered in the development of this program over the last 13 years. I never saw that one in the Beatitudes either. Why? The Van Plan was originally posted a few years ago but with spring in full swing I thought it was a good time to repost it. Also, everyone is watching the pocketbook, so I hope this helps you save. We have loved it and when I don't use it - I regret it. [Image]So to prevent the unnecessary eating out while we are running around to all these activities, I instituted The Van Plan. T[Image]he Van Plan includes a couple small soft side coolers. 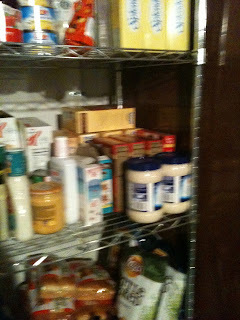 One is stocked with drinks and I need only to add the ice packs - it stays in the van unless it needs stocking. The other is inside it's for sandwiches and cold snacks like grapes, go-gurts and cheese sticks. I bought the Wonder Bread sandwich containers because sandwiches in ziploc baggies always get soggy and mushy if they are in the cooler for very long. I went with soft small coolers and two instead of one so we could leave the drinks in the van and only change out the ice packs. 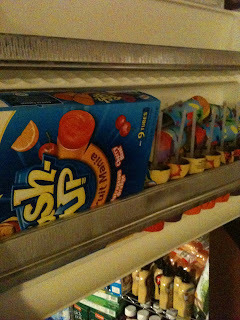 Also, so we wouldn't be digging through the food to get to drinks on the bottom and making a mess of the cooler. I bought the inexpensive plastic canisters too to keep the snacks so I wouldn't have bags without clips, bags torn open lengthwise etc. These are also easy to clean, dishwasher safe. I bought the 3 drawer cabinet too. Drawer 1 has raisins in single serving boxes, a large container of peanuts, a large canister of pretzels. Drawer 2 has peanut butter crackers, cheese and crackers, chex (generic) mix. Drawer 3 has tissues, plastic plates, paper towels, our first-aid kit, bug spray, sunscreen and hand sanitizer. I added a small trash can as well that is not pictured. Van Plan snacks have been added to the shopping list as well. I absolutely LOVE this plan. Apples, carrots, grapes crackers, cheese and lots of healthy snacks as opposed to fast food! Saving serious money every month and time saved on car trips - all good. So dollars and cents (from my actual receipts). So the "system" cost about $43.00 or maybe two visits for us to the drive-thru. It cost less than $15.00 to fully stock it once from Aldi, of course, which includes water and juice boxes. 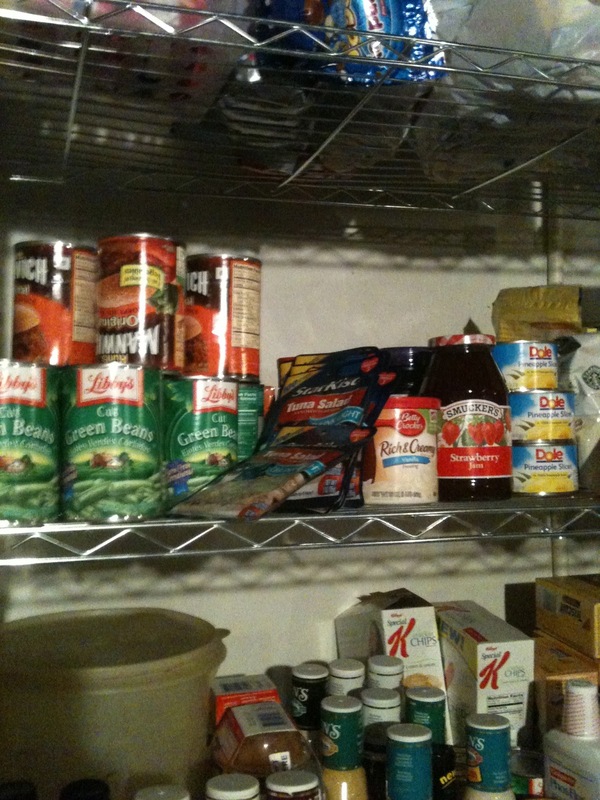 I bought extras and stored them in the downstairs pantry, it should be stocked for a month or more now :) I estimate the kids and I were purchasing food and snacks out last spring during our busy days to the tune of...about $120 a month or more. Yikes! This would be drinks, vending, ice cream, pizza and food for the 4 of us only 6-7 per month. There were months it was worse. I think I can stock the van for about $30 a month. That adds up in the savings account and hopefully will come OFF my hips. With the addition of my business I have added to the Van Plan - a set of Linkity cards which I use for word games, word association and to practice parts of speech. I have one of each type of chat ring, Qrazy Quandries, and Take Your Pick. These are great for story telling, journal entries and to keep the bigger fish from eating the little ones when the patience runs out. Also in the Van Plan is a first aid kit, changes of clothes, a couple jackets, and an umbrella. Also, now I don't leave home without my coupon binder! Trust the children. Is a wonderful book based on John Holt's educational philosophy. Those words changed my life. There seems to be a belief in education and parenting that children want nothing that is good for them. Children, unless forced to learn, to help around the house, or to eat well, they would never do so of their own volition. I do not believe this. Children want to learn. They want to work. They want good things. Young children love to assist with housework and chores. They clamor to do "big" things. They are fascinated by their world and ask millions of questions when they are young. They want to learn about their world. Is it a coincidence that these desires and habits tend to dry up at around 9 or so when kids are in school? The answer is no, it's not a coincidence. Children can't wait to rush off to Kindergarten. They love school, and look forward to it. Why then does this gradually disappear over the next few years? Within a few years, kids hate school, they are bored. Parents and educators scratch their heads and wonder what happened. When I began to let go of the fear that my children would not learn unless I made them learn. Our lives, our home school began to change in amazing ways. The children spend the bulk of their spare time in useful, worthwhile endeavors. Sure some time might be spent here and there watching tv or playing a video game but compared to their traditionally schooled counterparts it's largely insignificant. They spend their time reading, playing music, writing, doing art, playing games and spending time with the sibs. They want a well run, clean home. They want a home and a family they can be proud of. They are willing to contribute to make that happen. Sadly, I believe, the rigors of traditional school which tends to characterize their childhood hammers those desires right out of them. When I refer to "rigors" I don't mean getting an education. I mean the schedule, the pace, the boring repetitive nature of their daily life. My childcare kids get so excited when there is any deviation in their routine. Yesterday was pajama day, and they were thrilled. Anything at all to break the hum drum routine of the normal school day. My kids said not a word. They thought it was so sad that staying in your pj's for the day was a big deal. We do that a couple days a week! It's great when we are doing a study/reading day and we curl up in our sweats in the family room by the fireplace. Kids long to learn about the incredible world God created for them, they long for our time and attention. They don't mind contributing to their environment and they want good things. If they don't seem to want that, you have to start asking the question...why? Oh, how I long to be graceful. Filled with His grace. Peaceful, settled, resting gently in truth. Somedays I'm right there. Somedays, I am close and other days my restless mind, my childish heart, my stubborn pride and distractions keep me chasing my tail like a new puppy. Your ways are perfect Father. You are God, and I am not. Your plan is all I will need. The truth in your Word will strengthen me. Your constant love reassures me. The cross in my hand reminds me. You died to give me life, everlasting life. Your plans for me are only for my good. I trust you. I trust you Father. I trust you with all I am, all I ever hope to be, with every need, every want, every dream. I trust you.